Has 3D peaked in the movies? 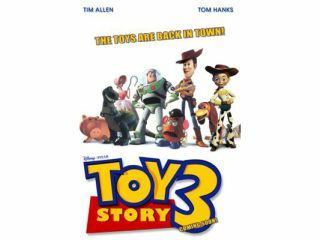 Pixar's latest 3D release, Toy Story 3, scooped record opening weekend box-office revenues of $109 million for the animation studio but a smaller proportion of punters saw it in 3D than they did Shrek Forever After, prompting fears that interest in 3D fatigue may be setting in. According to BTIG Research analyst Richard Greenfield, 3D represented 60 per cent of revenues for Toy Story 3 whilst the figure was 70 per cent for Alice in Wonderland and 61 per cent for Shrek Forever After. In addition Toy Story 3 revenue from IMAX 3D screenings declined two per cent compared with Alice and and three per cent against How to Train Your Dragon. It had however increased by one per cent compared with Shrek. Greenfield has said that the novelty of 3D has been surpassed by a more considered judgement about value for money with increasing numbers of families are weighing the value of spending money on premium priced 3D tickets against lower-priced 2D tickets. The national US average for a 2D ticket was $7.50 in 2009, according to the National Association of Theatre Owners, whilst 3D prices are around $15 for a youth in New York City. UK stats are currently unavailable. "We believe movie exhibitors could generate higher box office results, especially on family films, by lowering the 3D ticket surcharges," said the analyst. The analyst added that lower ticket prices would drive more people to 3D, and mitigate the risk of alienating consumers when they see a "bad" movie in the format, underscoring sentiment they wasted money on the premium ticket. Disney CEO Bob Iger recently cautioned against flooding the market with 3D releases, insisting that 3D releases should be done strategically, and not as an afterthought.